Izzy is an 8-year-old kitty who came to see me because her owner noticed over the past month she had been drinking and urinating much more than normal. 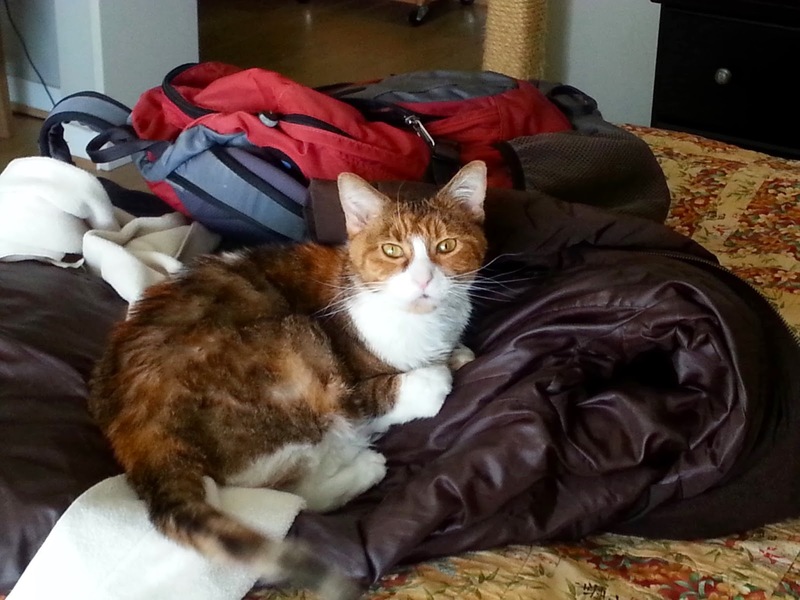 Overall she is a healthy, middle-aged cat with no previous medical issues. Her physical exam was unremarkable but she had lost a little over half a pound since her visit last year. Additionally, a few months ago she had been given an injection of a steroid by a veterinarian at another hospital to help with a superficial skin infection. There are many causes of increased thirst and urination, a condition technically called polydyspia and polyuria. We submitted blood and urine to look for underlying causes such as chronic kidney disease or a urinary tract infection. 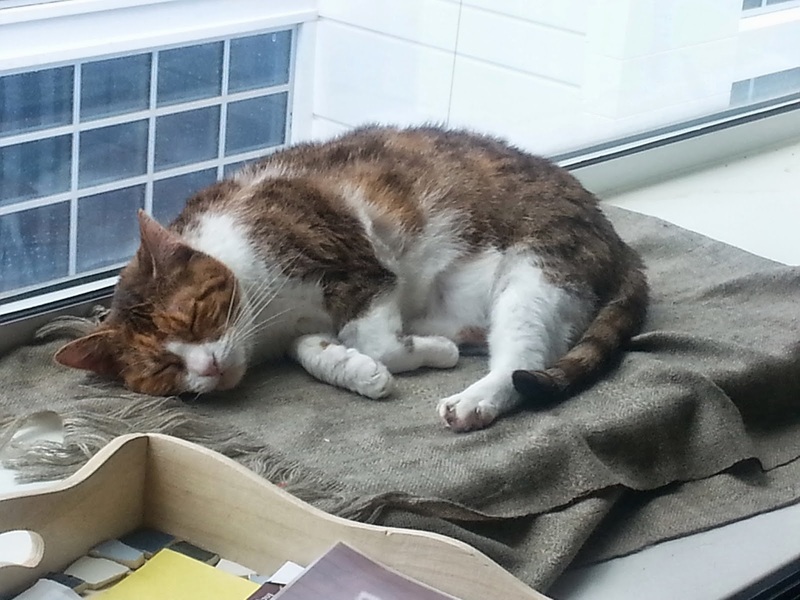 Izzy’s results came back showing she had a significantly elevated blood glucose level and glucose in her urine. These two concurrent results are diagnostic for diabetes mellitus. Other signs of diabetes in cats other than increased thirst and urination are weight loss, changes in liver function and hind limb weakness. Diabetes in cats is similar to Type 2 diabetes in humans. The pancreas does not produce enough insulin in response to a meal resulting in elevated blood glucose levels. In addition, the insulin that is produced is not utilized correctly to process blood sugar. The major cause of diabetes in cats is obesity, which is made worse by inactivity and excessive dietary carbohydrates. In Izzy’s case she is not overweight but the steroid injection could have affected her ability to produce insulin resulting in diabetes. It is unusual and unfortunate that she developed diabetes after just one steroid injection. Once we had a diagnosis of diabetes, we needed to start Izzy on twice daily insulin injections and adjust her diet. After she had been on insulin for a week we performed a blood glucose curve to assess how she was responding to treatment. This means her owner checked her blood glucose with a machine called a glucometer, every four hours for a twelve-hour time span. Izzy’s owner is amazing, she tackled both the daily and injections and at home curves with ease. We started Izzy on insulin and planned the first curve a week later. This would give her body time to get used to the insulin and start balancing out her blood sugar. Her first curve showed that the insulin barely changed her blood sugar at all so we gave just a touch more. We have to be careful not to give too much insulin as this can cause her blood sugar to go to low (hypoglycemia) resulting in neurologic issues such as vomiting, decreased appetite, weakness, stumbling and seizures. It took us about six weeks to get it right, after each blood glucose curve we would gradually increase the insulin and check a curve a week later. Izzy is now a well-regulated diabetic, happily eating Hill’s Prescription M/D diet. It is important to implement a diet change to help better manage diabetes in cats. Unlike people and dogs, cats are obligate carnivores. This affects how they process nutrients in many ways, one of which is that they are not well equipped to metabolize an excess of dietary carbohydrates. The M/D diet is high in protein and low in carbohydrates, specifically designed for diabetic kitties to help better regulate their blood sugar. Diabetes is a difficult disease for pet owners, it is expensive to treat and requires a unique dedication to your pet. Cats have a finicky pancreas and can develop complications from their diabetes without warning. Owners like Izzy’s mom deserve recognition for all their hard work and devotion to their pet’s health.